Before they went all in on their business idea – Hotels By Day, both entrepreneurs were involved in the travel industry on various levels. According to his biography on the business website, Yannis has an extensive background in travel as a career. He conducted guided tours in Europe, directed and NYC global tour operator company, and co-founded a travel agency. His partner, Brian, worked for 20 years in various aspects of the hospitality industry. He worked as a hotel manager, and also was involved in two hotel technology firms. They saw a need in the market for a paradigm shift and decided to tackle it together with Hotels By Day. They managed to get 300 businesses on board with them. Let’s see if the Sharks would be as thrilled with the concept. Brian Dass and Yannis Moati walked out onto the stage and into the Shark Tank. They introduced themselves as the CEO and the CTO of Hotels by Day. They requested an investment of $750,000 in exchange for 10% of their company. Yannis started the presentation by saying that their company was looking to revolutionize the hotel industry. He asked the Sharks how many times these travel to the city just for the day. He outlined the scenario of getting there at 8 AM and having a meeting at 1 PM. What would they do with those hours in between? Yannis stated that there was a major gap in the market, and Hotels by Day was looking to solve it. He said that by using their app, and the website, they would be able to book a day room. They would arrive early at the hotel, check-in, order room service, and then leave for the meeting. Brian said that it would be a paradigm shift for the hotel industry by giving them revenue and giving guests the flexibility to get a room when they needed it. He said that it closes the loop on the customer journey. 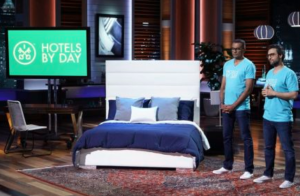 Together, they ended the presentation by asking the Sharks who wanted to check in early with Hotels by Day. Mark Cuban asked why it felt like a Saturday Night Live skit, probably referring to both of them talking at the same time and reciting business jargon. Robert immediately went into the numbers, asking how it worked and wanting to know the pricing. Yannis explains that on average customers were getting six hours during the day that were provided by the hotel for $90. Kevin said that he had one question that could settle the entire presentation. He wants to know why was all of the other sites that already exist in a cluttered competitive space didn’t just add that feature. Yannis claims that technology at the moment did not allow for the major hotel chains to offer that daytime rate. Robert asked him to explain himself, stating that he was dying to know why other bigger players couldn’t offer the same thing. Brian said most hotel management systems could not handle a day room booking. Lori said that most rooms charge a late rate unless you are able to negotiate your way out of it. She wondered why the same thing couldn’t just be applied to a day room rate. Kevin used the example of the Marriott. If you called them up and said that he couldn’t make it to his room until 4 o’clock, they would charge him an extra $80. Yannis said that was an analog method where the customer called or emailed the hotel. Chris asked how they solved that problem with their own outside technology. Brian said that they are actually connecting to what’s called a channel management system that connects to the availability, rates, and other things. It allowed them to be able to set up the rates for that half a day room. It seems like the Sharks weren’t getting it. They were all talking to each other, asking questions. Mark asked the entrepreneurs how exactly they would block out the rooms. Yannis asked to step back for a bit. He stated that the central reservation system of the hotel did not take day bookings. He said that any booking that goes into that system goes in as a night booking. Robert said that he excepted that. Chris told the entrepreneurs that they were doing a terrible job of explaining themselves. Chris said that he understood that the hotel’s internal technology could not do it. He wants to know how their external technology fixed, supplemented or overrode the in-house technology. Yannis said that they were taking a fraction of their inventory which was sitting empty between 9 AM and 6 PM. They were then selling it to the consumer. That was using the workaround technology that Brian created. Chris was getting frustrated that they still hadn’t answered his question. He demands to know if it was actually a technology, or if it was just a hack. Yannis insisted that it was an actual technology because they were connecting to the channel manager. Instead of going through the CRS system, they were going through the channel manager directly into the hotel. Robert wants to know how that was proprietary. He stated that if Kevin was one of the other hotel managers, he could hire a CTO that could develop another workaround. Brian tried to say that anyone could duplicate the technology. Chris said that it was just a hack, and Mark stated that it was a first to market advantage. Mark even asked them how many hours they’d rented so far. He also wanted to know what their margins were, and how many customers they had. Yannis said that they were at 6500 bookings. 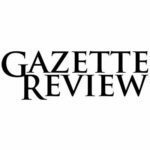 He said that they generate about $127,000 in gross booking revenue during the year of 2015. They were only taking 14% of that profit. Yannis submitted that that was low, but he saw it as reasonable. Brian said that it was a starting point. Robert asked if they had dealt with any of the big hotel chains. Yannis told him that they had individually signed every brand out there. Kevin asked him why the big guys didn’t just crush them like the cockroaches they were. Brian said that that was because the big players could not connect at the moment. He said that they would not waste their time trying to connect to a CRS that did not work. Chris accused them of just selling someone else’s product. He said that the entrepreneurs were just saying that the big guys were incapable of selling it because they had some hack to get into it. Chris said that they’ve done such as poor job of explaining why the hack was defensible, hard to create, or if it was proprietary in any way. He said that they should not be shocked that there’s a lot of doubt on the Sharks side of the room. Yannis said that the hotel could not solve the rooms because they had not created a system behind it. He continued, stating that the technology was missing and it took time and investment. Chris said that he did think it was a problem that they were trying to solve, but he was asking for a straight answer to why their technology was proprietary or defensible and he didn’t get it. Chris said that he didn’t think that there’s something there. He was about to go out but Yannis stopped him. Chris looked exasperated and told him to go on. Yannis said that they had conversations with the majors in the hospitality field. Chris stated that the conversations never ended in the sale because they didn’t have anything provided. The competition isn’t the massive hotel chains but the technology that rides on top of them. He said that if they were reinventing the entire management system the way open table reinvented the booking platform for restaurants. That’s not what they were doing. Chris went out. Yannis said that up to last me they’ve generated $300,000 in revenue. He said that it was at a rate of 20% per month growth. Mark told them that that was because they were working with tiny numbers. He said that the challenge was how big it could possibly get. Yannis said that they’ve seen how many people actually log into their website, and then make a booking. He said that was 8%. He claimed that if they were to run a percent of the top cities of visitors to their website, they will be at 12,000 bookings. Mark said that even if they did get that far, it was only $200,000 a year, which was $28,000 a month. He told him that was not enough, and he went out. Robert said that was a great idea. He told them he traveled all the time, and he always had to book 2 nights at the hotel room despite only needing one. He told him that there is no question that there is a market there. He thought that hotels by day would just be a proof of concept for the bigger players. Even if the business proves the market, the bigger players would jump in and do it. He said that there is nothing proprietary that they had, so he was out. Yannis said that he wanted to reassure the remaining Sharks that the bigger hotel chains would not get into that game. Robert told him not to rely on the stupidity of their competitors – they need to prove the market on their own. Lori said that she saw their product is a big puzzle, and there are so many missing pieces. She was out. Kevin said that if he thought that there is a cockroach strategy to Hotels by Day, he would invest. He told him there is nothing wrong with being a roach, as long as you are the best roach you can be and still survive by the end of the day. He was stuck at that valuation they were giving themselves. No one was going to invest at the $750,000 that they wanted. He said that if they made it $150,000, he would ride with the roaches for a little while. He liked the space but he couldn’t do that. He told him that they made it impossible to invest, and he went out. They thanked the Sharks and left the stage. According to their website, since failing to secure a deal with the Sharks, Hotels by Day has expanded up to 450 new locations from the 300 they had when they appeared on the show.They have been featured in articles by The New York Times and the Chicago Tribune. They have also mentioned on their Twitter account that they formed a companion company called Flexbook.co. 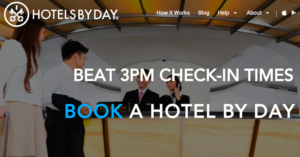 this being said, HotelsByDay.com blew past expectations in 2017. So all good in this hood. Thanks for the ride Sharks!